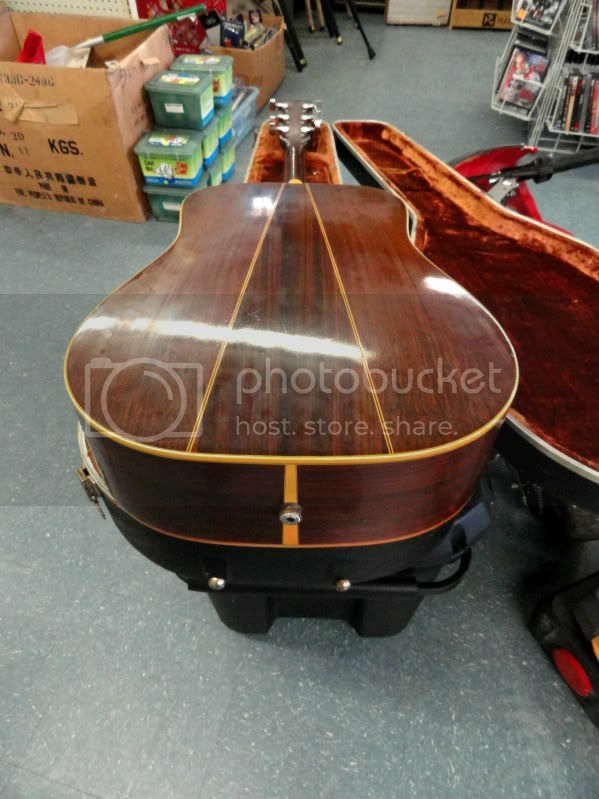 Discussion in 'Acoustic Instruments' started by Texsunburst59, Feb 14, 2012. 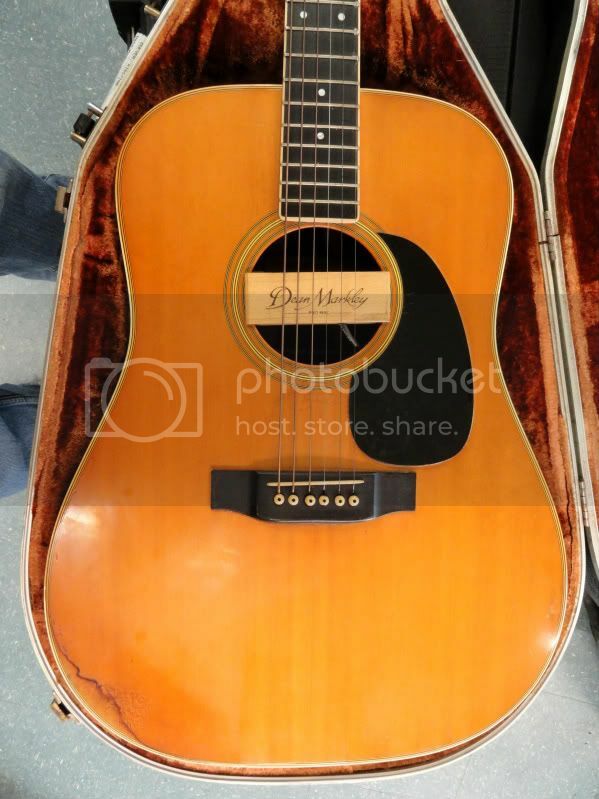 I'm trying to find the value of an early 80's Martin D-35 . 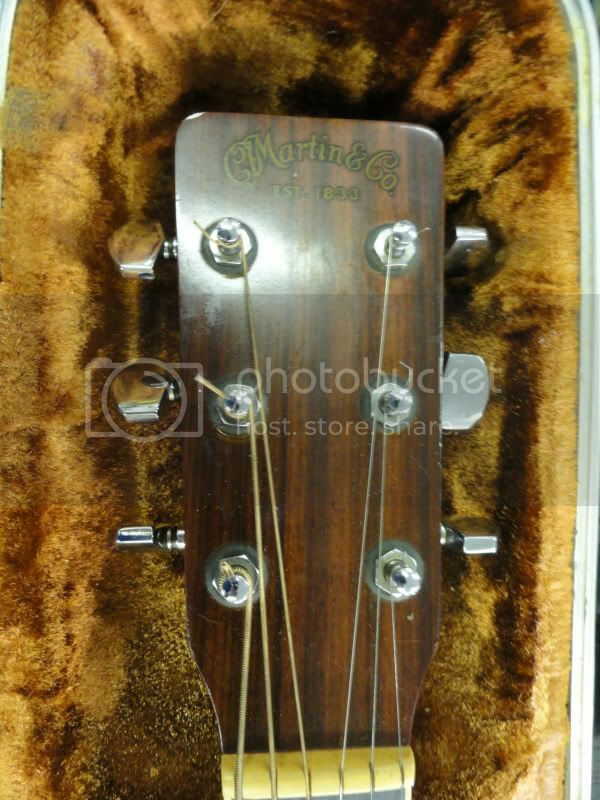 I'm not really familiar with Martin guitars, so hopefully the experts may be able to guide me. Thanks in advance. 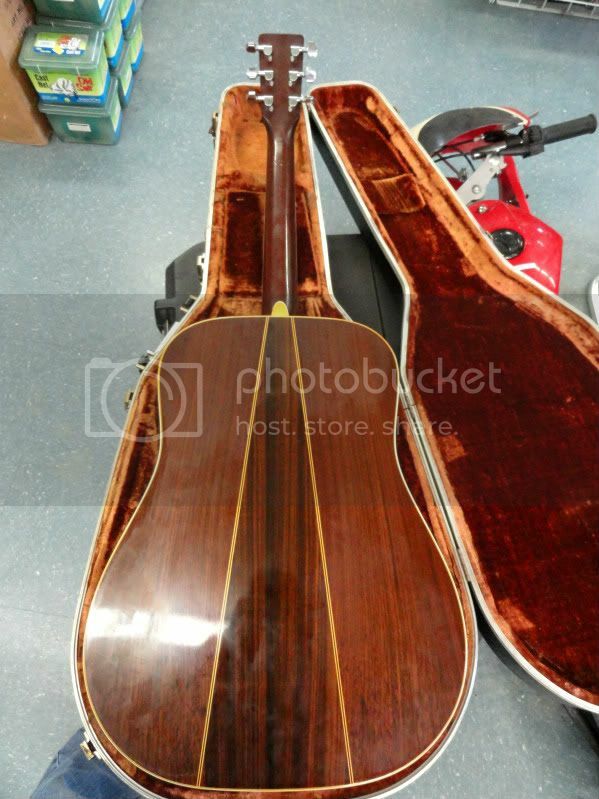 Here's some pics of the guitar. I'd say $1100-$1500. Really clean 70's ones go for just a little more. Thanks for the input Rockin. Looks like someone threw a good sweat on that guitar. I like to see that. $1000-1200 is a good seling price. 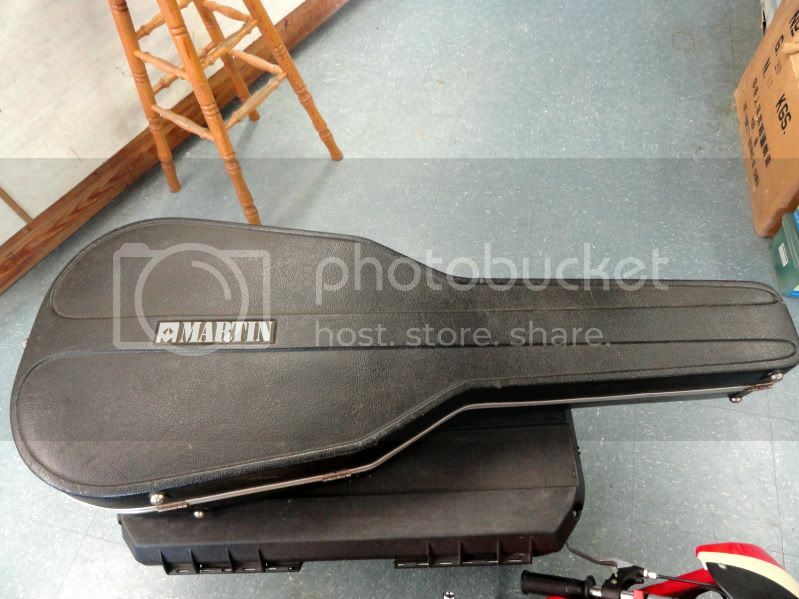 Fans of Martin dreadnaughts generally go 18 or 28. The 35 is a bit of a redheaded stepchild. Obviously the stain is a detractor and 35's can sound as good as a D-28 if you get the right one. I had one like that for nearly 30 years and I sold mine for $1500, 10 years ago. 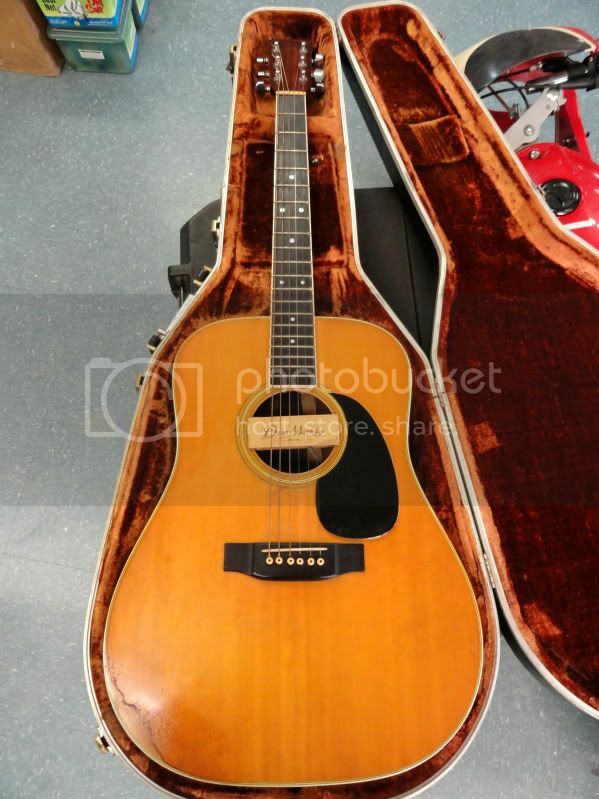 I sold it because I had a chance to pick up my buddy's 1964 D-28 for $1700. In Ca, where I live, I have seen D-35 asking prices as high as $1600 but depending on what part of the country you live in, yours looks like it should be worth $1100-$1200 in my opinion. Thanks for your personal experience with one of these. You info really helps. I would say in the 1200 range.